Hey festival-goers, WELCOME TO POPPYPRINT! This quilt represents the first time I made something inspired by a real person, my late mother-in-law. Almost every year, B's family would vacation in Maui. His mom would purchase Hilo Hatie (Hawaiian fabric), bring it home and make a muumuu for herself for loungin'. The 'bijoux' in the title refers to the jewel tones of the dress fabrics on all the beach girls. I wanted to celebrate the vast range of body sizes and colours you see on a vacation beach. I learned to make the 'paper dolls' at a class taught locally by Barb Mortell, an inspiring Vancouver quilt artist. I believe this will remain my all-time favourite quilt for many years to come. 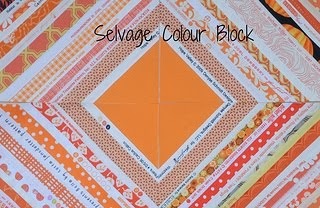 I could stare at it for hours as I love all of the colours and am very proud of the quilting. I'm not sure I've quilted anything quite as well since! Thanks for visiting....enjoy the rest of the quilts in the festival and by all means, come back again soon! This is awesome! So much detail. Thanks for posting this for all of us who are relatively new to your blog and work! Wow! That's awesome. Your MIL would have been honoured to know she inspired you. Krista, this reminds me of something "bahamadawn" might do. I think it's the island colors and diversity. It is awesome and the quilting is extraordinary!! Bravo, honey! My oh my, it's just wonderful. I wish it were mine. Love it, Love it, Love it!!! Such an artsy design. Thanks for visiting my blog too! 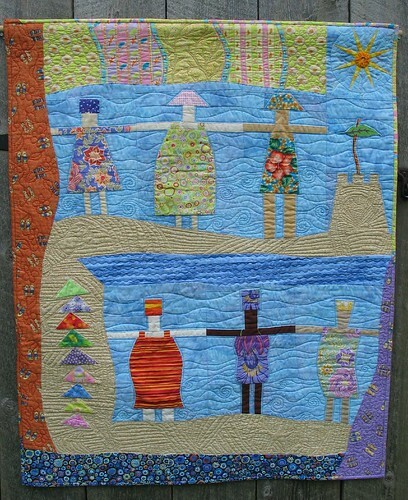 A day-at-the-sea quilt! It's utterly gorgeous! Thank you so much for sharing, Krista. This is really awesome! I wish I could see it in non bloggy land. I bet it is even more beautiful. You are so creative! That is just fabulous! Love the subject and it is just such a joyous piece of work! Well done!!! Sharonj. Lovely! Great details and very creative! Wow! What a wonderful work of art! It is amazing Krista! I love all of the detail and the concept, well, everything about it! Do you have it hanging in your home? You definitely should be proud of it! Oh so beautiful!! Love all the detail and thought that went into this quilt. Really cute! oh i think this might be my favourite quilt of the festival. it is definitely up there. the details. the devil is in the details. okay maybe not the devil. you know what i mean. make another one. you are in this quilt. some big part of you anyway. that's what makes it so great. Oh, how I love your quilt! The colors, piecing and stitching are amazing. I will follow you anywhere! It's wonderful Krista! 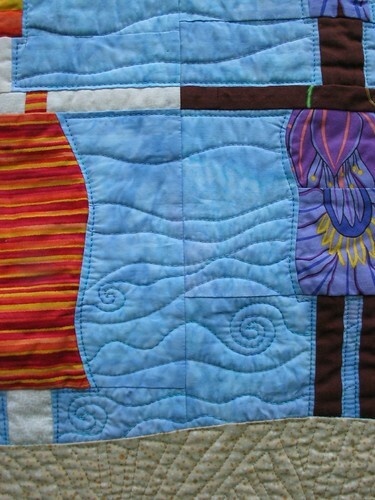 I love all the creative elements in this quilt - it truly is a work of art! That is sooooooo fabulous - I love the colours, the way there is so much to look at, different techniques, I love all the colours and sizes of women on the beach, their bright dresses, the sand castle, the details in the quilting. I can see why it's your favourite. This is so cool! So creative - I love it!!! Oooh, great quilt! 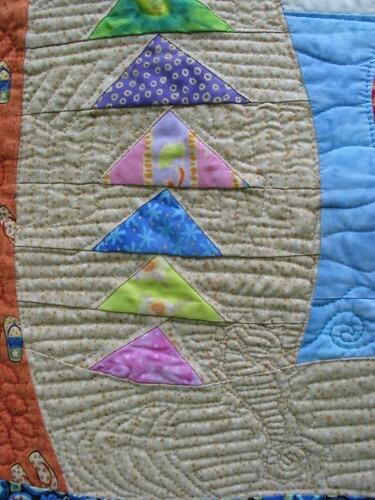 Lovely details; I always love things 'hidden' in the quilting. Muumuu Bijoux Rocks! Who wouldn't like a muumuu from Hilo Haties, not to mention a wicked quilt like this. Ack... these ladies are adorable. I like the sun too! Fantastic! Makes me want to head to the beach! 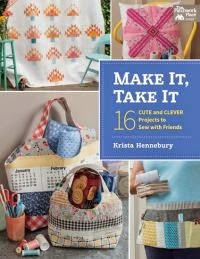 What a fun quilt!! Great fabrics and quilting. 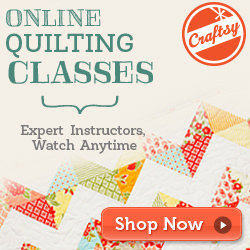 Oh my gosh, this has to be one of the coolest quilts I've ever seen!!!! Love, love, love it! 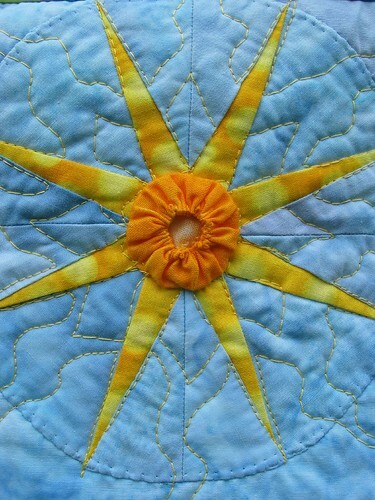 Thanks for sharing the inspiration behind the quilt and all the lovely details. I can see why this is your favorite quilt! 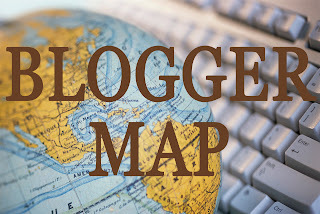 I've been so busy with my packing and moving that I haven't had a chance to visit the Blogger's Quilt Festival this time around...only the blogs that I follow. 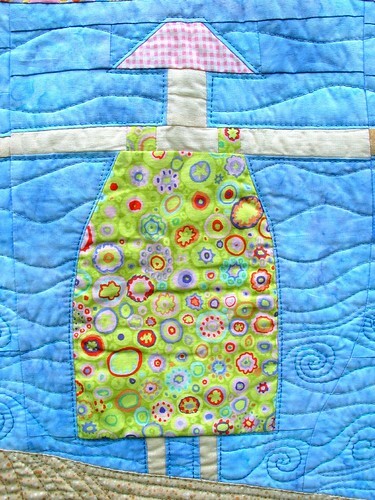 So glad I recently became a follower or I would have missed this awesome quilt!!!! Did I tell you I love this quilt?! How I managed to miss your festival post is beyond me, but I'm so glad I found it through your Flickr pics; it's so beautiful! I love the happy colours and all the details!! It's hard to believe it's your first of anything! This is a wonderful quilt and even more beautiful in person. Great to meet you at the VMQG meeting, Krista! WOW! BEAUTIFUL! I've always admired doll quilts! love this quilt!!!WOW!! WOW!! WOW!!! Now this is creative...very fun and lovely how it is finished. It is gorgeous Krista! Well, I am going to inspire you to create a pattern for it so you can sell. I will be your first customer. it is extroardinary.